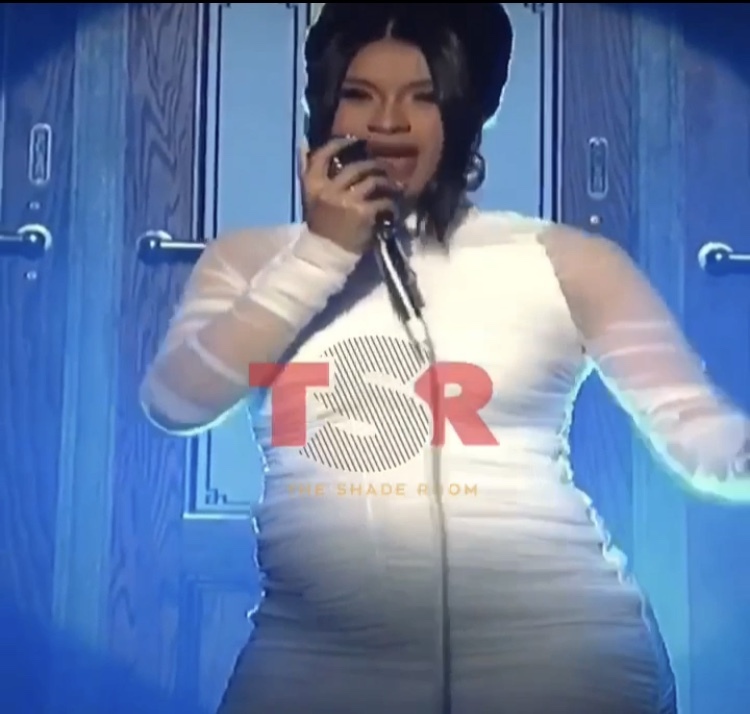 Cardi B Reveals Her Pregnancy On SNL! Cardi B IS pregnant y’all! During her performance on “Saturday Night Live” tonight, the “Be Careful” rapper finally revealed her pregnancy! Rocking a white dress, she let her baby show, which we’re sure was an exciting moment for her and her stylist after concealing the growing bump for months. Congrats to Cardi and Offset on their new bundle of joy! #PressPlay: #CardiB is pregnant! She revealed her baby bump during her 2nd performance on SNL tonight! Congrats to her and #Offset!